The R33 GT-R debuted in 1995, and will probably be the most popular body style purchased in the US.The R32 style is a bit dated for many, the R34 GT-R out of reach. In January of 2020, the first GT-R turn 25 years old, and will be FMVSS exempt, legal to import to the USA. It's a larger, heavier car than the R32. The biggest GT-R, it is a bit of an odd one out. It is reported to be the first production car to run under 8 minutes at the Nurburgring, but we honestly do not believe that claim. The R32 and R34 use chassis code BNR(BNR32, BNR34). The R33 uses chassis code BCNR(BCNR33). First off familiarize yourself with some Skyline GT-R Basics. 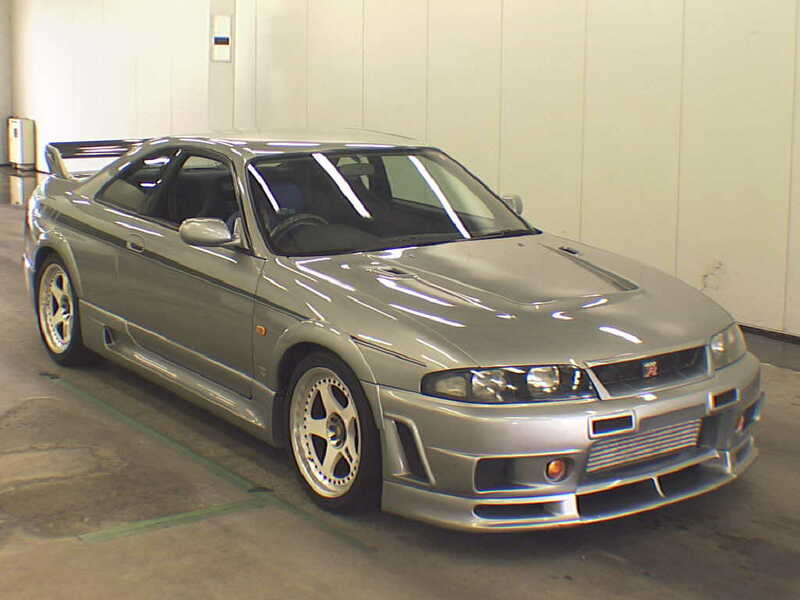 From 1995-1998 there were 16,674 R33 GT-R's produced. About 1/3 the number of R32's. There are three distinct versions of the R33. The Series 1, Series 2, and Series 3. Series 1 are 1995. Series 2 are 1996. Series 3 are 1997-1998. The R33's RB26 had a few changes from the R32 engine, but overall near the same. It ran a little more boost. You would see about 11-12 psi peak. They are still rated at 280 ps or 276 hp, but we all know this to not be quite accurate. 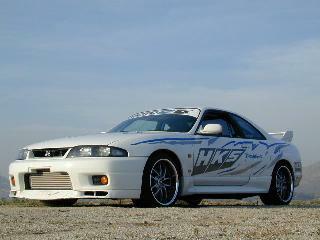 The R33 used a carry over version of Nissan's RB inline 6 cylinder engine powered the car. Iron block, aluminum dual overhead cam head. Sodium filled exhaust valves. Solid lifters. Six throttle bodies. Twin turbo. Oil cooled pistons. 73.7mm stroke with an 86 mm piston giving the RB26 2568cc of displacement. Short stroke, low torque, high revving. Stock most of the engines had ceramic exhaust wheels on the turbochargers, and saw about 0.8 bar of boost(500 mmHG, 11-12psi). Behind the RB26DETT sat a 5 speed transmission, with internals shared with the Fairlady(300ZX). On the back of the transmission was the ATTESA transfercase, or the all wheel drive magic. Cooling System Approximately 9 liters. Gycol or Water? Depends where you live. Vspec or victory specification debuted in the R32 GT-R in 1993, and ran through 1994. The Vspec II debuted in 1994. In the R32 that meant Brembo brakes, 17 inch wheels, stiffer suspension, some ATTESA reprogramming. Other than those parts, the engine, transmission were all the same. No power advantages, all braking and handling advantages. In the R33, Nissan introduced an active rear differential (A-LSD) in the Vspec versions of the R33 GT-R. This active rear differential works by locking the rear differential upon throttle application. If your foot is off throttle, the differential is open, making turning a little easier. As you start to put the power down, the differentially progressively locks. We have seen some people say that the Vspec can vector torque, which it can not. It is just a lockup. Along with the rear differential upgrade, the Vspec got ATTESA Pro, stiffer suspension. No power or braking upgrades on the R33 GT-R. All the R33 GT-R got Brembo brakes front and rear. We like the 1996 interior better than the 1995 interior. 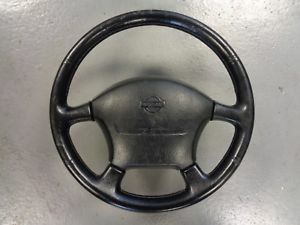 Mostly due to the design of the steering wheel. The 1997 up cars got red accents vs the purple/blue accents. Suspension and Alignment settings for Nissan Skyline GT-R. R32, R33, and R34.